Nothing better than Mondays that are public holidays! Means another short working week that will hopefully fly by quickly so that the weekend is here again. Today I thought I would share an Easter inspired manicure that my Sister did. 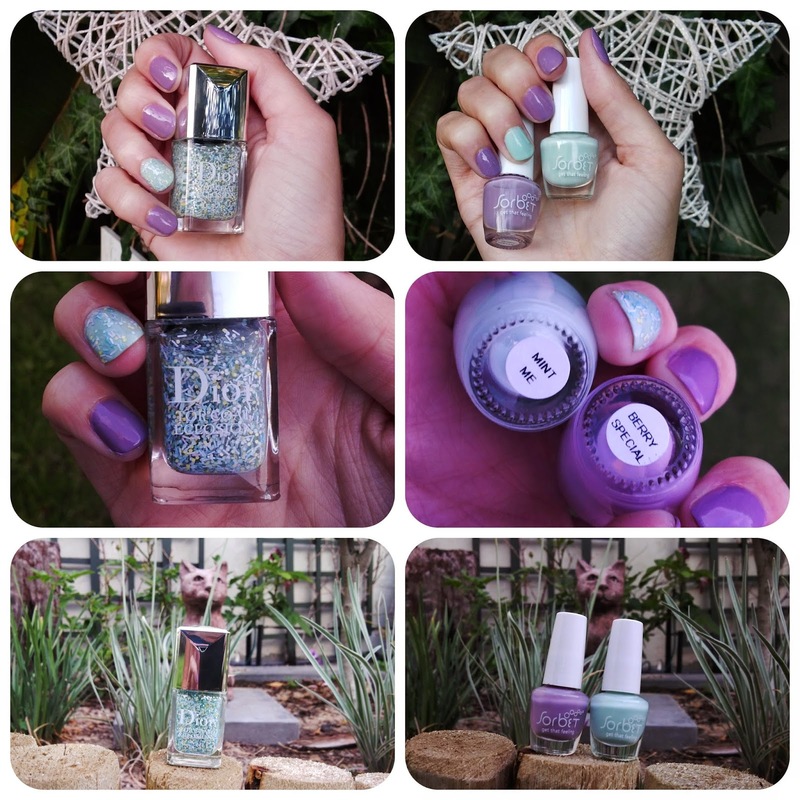 I know the Easter weekend is basically over but I really loved this manicure and wanted to share it, especially because the limited edition Dior Eclosion top coat was used. Dior is always expensive to buy (R330 a bottle) but this top coat is something special, so my sister caved and bought it for herself. It is a mix of pastel mint, blue, yellow and pink small hexagon and bar shapes. She also used Sorbet's Mint Me and Berry Special nail polishes from the Spring collections of miniatures that she bought a while back. Hope you all have a great day off. Love it! How does Sorbet's nail polish last? I'm such an Essie fan but I'm curious about Sorbet's range.